‘Hit a hole-in-one at the last putt of 2018’ playing one of the greatest golf tournaments on a premium course. The San Miguel Trophy, the classic and best of the Spanish amateur calendar, will take place on the 31st of December on the recently renovated and spectacular America course at La Cala Resort. Golf fans will have a very special end-of-the-year experience at La Cala Resort. 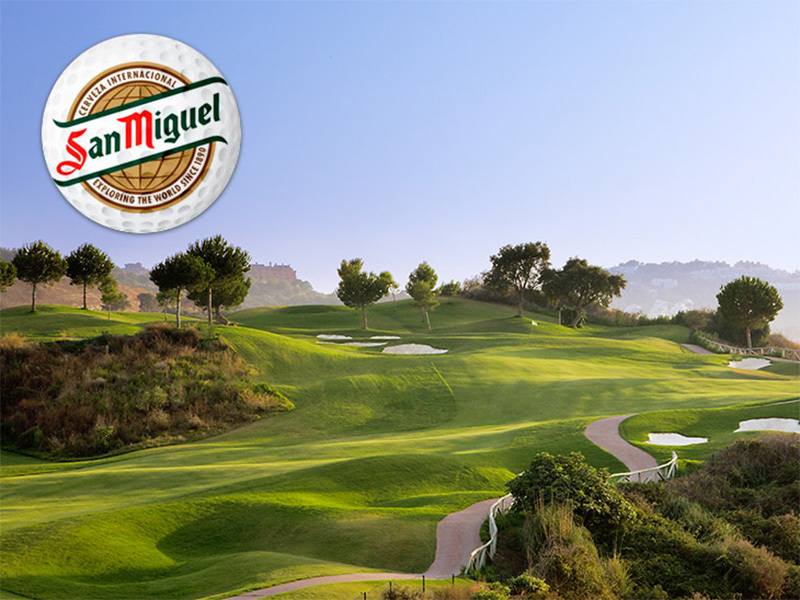 Just as in the past, the San Miguel Trophy will take place right before New Year’s Eve. In addition to singles games, doubles games will add to the fun. And of course, the long-time sponsor, San Miguel beer, will be there for support. The non-member price is 66 euros, which includes the green fee, a shared buggy, a cocktail, prizes and the raffle. Tee off will be at 9:30 a.m. on the America field, a model facility with incredible views of the Ojén Mountains and the Mediterranean Sea. One of the prizes awarded will be ‘The Couple with the Best Shot’. The first three couples will receive a prize. If you want to truly complete your sporty stay, the best option would be to complement the tournament with the New Year’s Eve celebration at La Cala Resort. For only 211 euros per person per night, you will enjoy the benefits of lodging in a double room, dinner, a surprise-filled New Year’s Eve party and a hydrotherapy circuit. This package is highly recommended to make the end of the year a memorable experience at the best resort on the Costa del Sol.